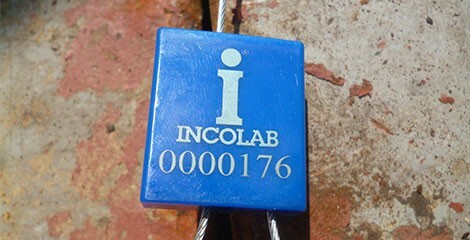 Incolab provides many special services to different kind of working areas. 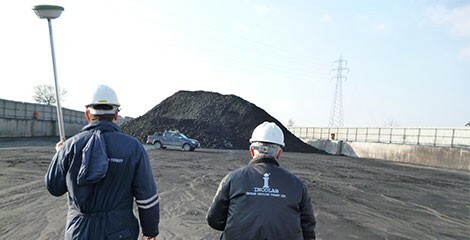 Our company, which is developing a continuous working system according to its quality policy, aims to always provide the best quality service in order to protect it’s leading position in the sector. In this area you can review our services and request a quote for any our service when the need arises. 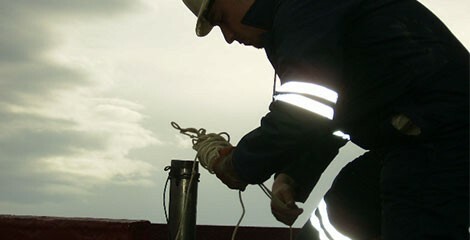 Draught survey is calculation of the weight of any materials (especially commercial) loaded or discharged from a vessel by using Archimedes’ principle and by making static calculations. 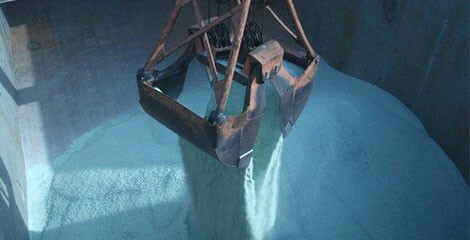 This weighing method is accepted by the customs of many countries. 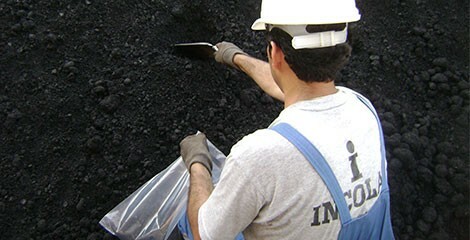 Tally survey is the counting process during loading or discharging of packed goods. Improper closing and sealing of hatch covers can be a major cause of cargo contamination. 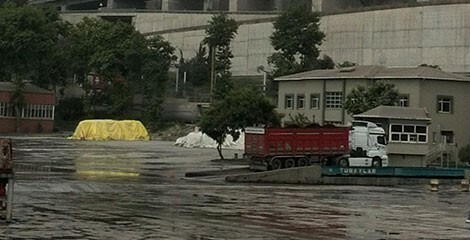 Hatch cover leak test is made to protect the cargo from water contamination by preventing the ingress of water through hatch covers. 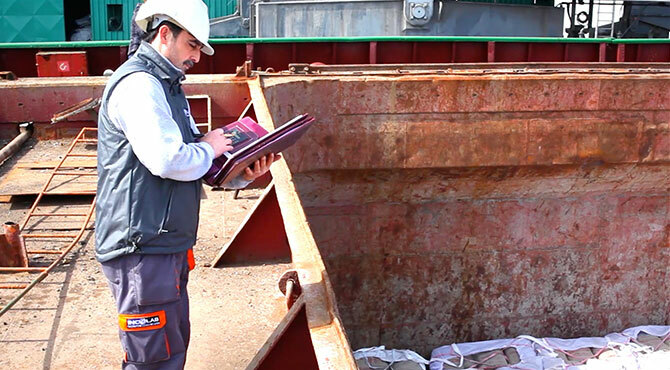 In general, cargo holds and hatch coamings must be examined for potential defects such as rust scale, insect infestation, oil, sludge, and water. 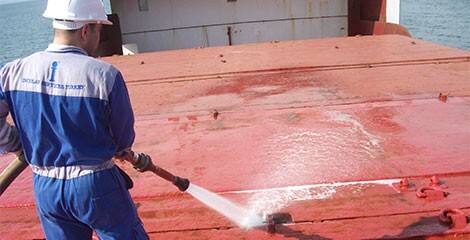 Vessel’s cargo compartments must be substantially clean, dry, and ready to receive certain cargo before the loading can begin. 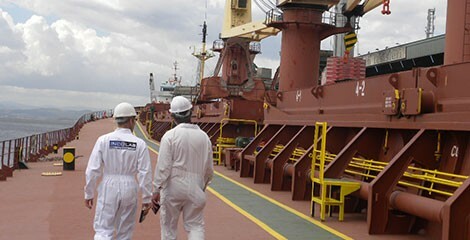 Starting from the gangway of the vessel, a complete visual survey of cargo spaces, deck areas/structural conditions and control of any damage or deficiency at a specified place and date. Bunker survey is carried out to measure and ascertain the quantity of bunker stored and used on board at a specific place and time. 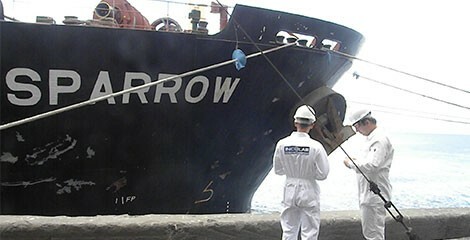 Bunker survey conducts mainly fuel oil, and diesel oil. 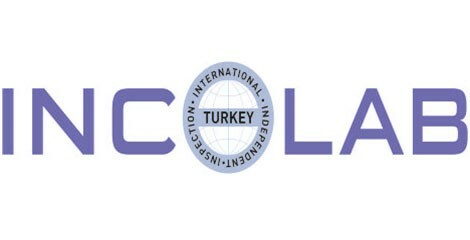 Sampling and sample preparation of import and export goods in accordance with related standards (TS, ISO, ASTM, GAFTA). 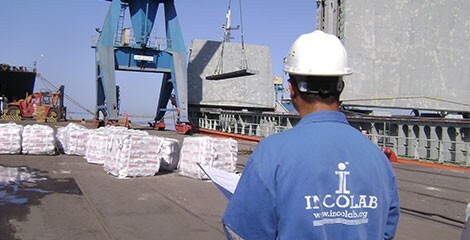 Supervision of loading or unloading process during import or export operations. Determination of the amount of bulk goods located in stock fields and warehouses by Leica GPS 1200+ or Leica CS10 GNSS GPS measurement device. Weigh-bridge survey is made to determine the amount of loaded or discharged goods during loading and unloading by supervision of truck weight scale in order to provide accurate measurements and to record results. 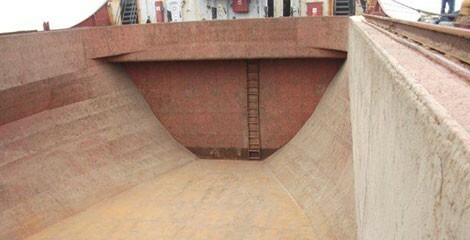 Sealing and the unsealing operation of the hatch covers and manholes before/after the vessel commences its unloading/loading operation. 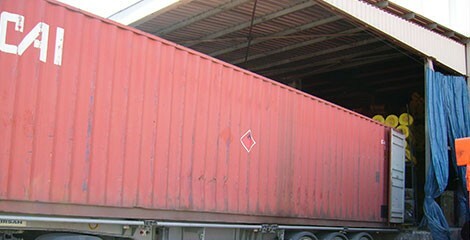 Container certification survey is used to prove the safety condition of the containers in accordance to CSC requirements for international overseas transport. 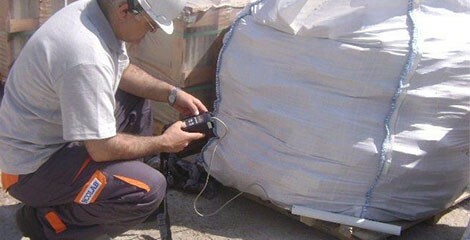 Being authorized by the Turkish Atomic Energy Authority, our company performs radiation measurement of solid materials within the frame of Radiation Health and Safety rules. Control of the goods which will be loaded in accordance with specifications or the specified standards. Please submit your contact information and your request on our services briefly. Our team will contact you soon.